Store your household and personal items safely, while adding a wonderful furniture piece in your home with the set of 3 Bergman storage trunks, featuring a chic grey linen and classical wood effect finish. 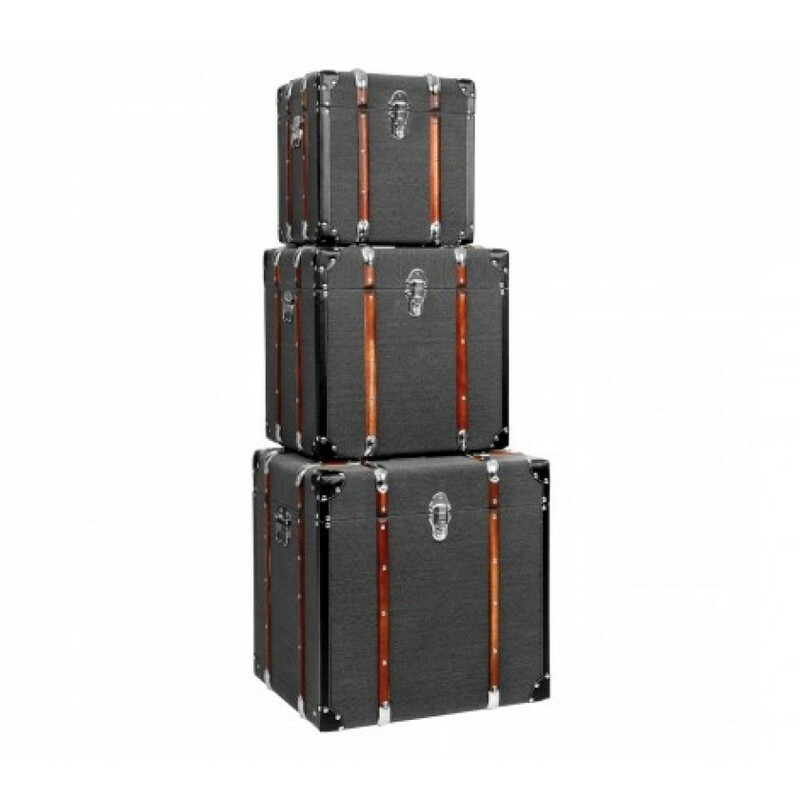 Made from reliable MDF, the three cases; small, medium and large, are covered with a dark grey linen for stylish contemporary look, while the wooden effect design brings a touch of warmth and tradition to the cases. Metal detailing, with chrome finish, further accentuates a worldly look. Black leather effect straps act as your handles for the drawers. The three cases are suitable for storing books, magazines, clothing, linen and general knick-knacks, helping to keep your room organised and tidy. Complementing most decors, the set of 3 Bergman storage trunks will provide your home with a functional and fashionable way to keep your home tidy.